The answer is multifaceted, but the first step was retaining Jane Jensen as the author of the entire storyline. 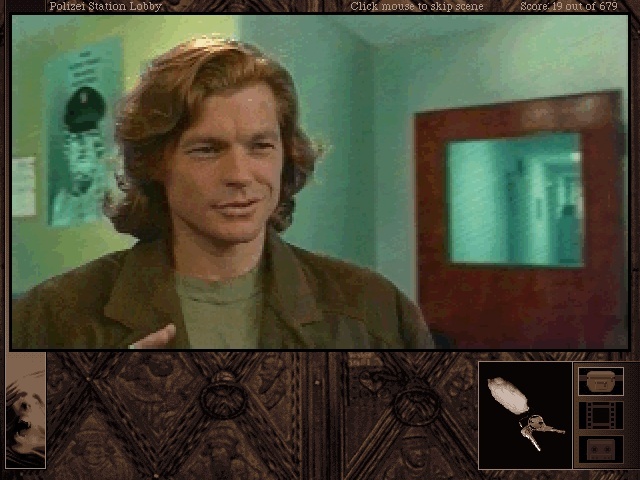 The first Gabriel Knight game was lauded for not only being fun to play, but having a deeper story than most adventure games. Ms. Jensen had majored in computer science, but also had a deep fascination with creative writing, evidenced by her work on the Gabriel Knight series. Interestingly, she did not become a published novelist until well after The Beast Within, with her novelization of the first Gabriel Knight: Sins of the Fathers book in 1997, and then Gabriel Knight: The Beast Within’s novelization in 1998. Her first non-computer game related novel, Millennium Rising, was published in 1999, the same year her last Gabriel Knight game was released.